Let’s be honest for a minute – useful apps for the Galaxy Gear smartwatch are few and far between. It’s kind of a downer that whenever someone talks to me about the device, while I have it on my wrist, that I can’t really give them a ton of examples of how it helps me in my day-to-day routine. In addition, the customization ability that would allow anyone to create a look of their own for the watch was pretty poor at launch. It would appear now though, after developers have had some time to work on it, there is a new app called WatchStyler that finally has me impressed. With WatchStyler, you can create your very own watch face, with a number of custom fonts and the ability to choose your own wallpapers. And these aren’t preselected wallpapers, but actually images from your own device’s gallery. That’s major. Once you select a wallpaper, you can choose a clock face – either analog or digital – and then go from there. 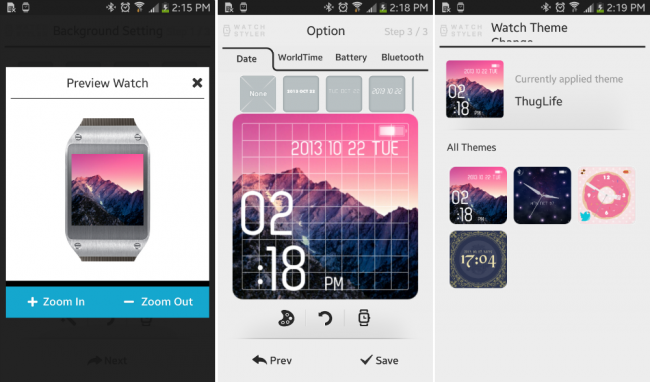 You can choose to have a battery widget, world clock widget, calendar widget; and the look of each can be customized. After just 5 minutes of tinkering, I was able to create a look I really enjoyed for the watch. 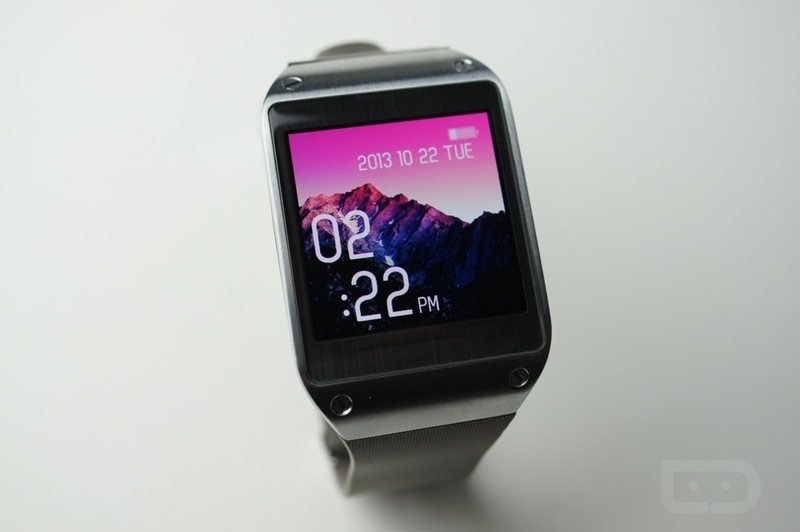 If you own the Galaxy Gear or were thinking about picking one up, you have to go download this app.